Personal finance is a broad term for financial management that is not about running a business operation. It is centered on the finances of a family or individual. Generally, the main functions needed are budgeting, income and expense tracking, asset and debt monitoring, insurance and social security benefits management, and income tax management. Estate and retirement planning functions may also be integrated in personal finance software. At present, many personal financial software have been packaged or designed as mobile apps that can be used on smartphones and tablet computers. There are also web-based personal finance applications that offer the advantage of browser-based anywhere with Internet connection. PiggyBob is a personal finance software that offers basic features. It provides a very simple user interface and compatibility with computers that use even the old Windows 98 operating system. It features a calendar and alarm system that can be useful in making sure bills and other financial obligations are not forgotten. The program can keep track of daily, weekly, and monthly tasks and events. It may also be used as a software for managing the finances of a small business. PiggyBob adequately covers the basics of personal finance though having tax preparation and investing functions would have made it better. BudgetExpress is another personal finance software worth considering. Developed to be simple and user-friendly, this software tool is centered on personal or family budgeting or the appropriation of income. It is a good tool for the day-to-day management of finances. Features include loan and credit simulations, loan repayment calculator, the ability to print calendars and reports, budgets displayed in a calendar-like interface, illustrated reports, and comparisons of actual and planned expenses. 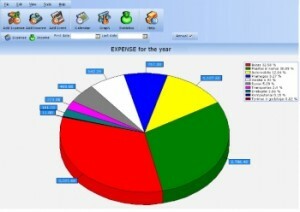 BudgetExpress also features a budget creation wizard to help those who don’t have any knowledge in budgeting. The program runs on all Windows OS versions including Windows 98. Full-featured but easy to use, iCash is a cross-platform software designed to cover all aspects of personal finance. It can keep track of earnings and expenses, debts and credits, budgets, and projects. It makes use of a powerful SQL database engine with matching password protection and automatic backup function. 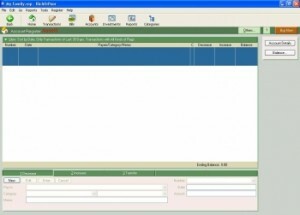 The software offers a multi-document interface and uses a logical account classification. It supports different currencies and has an exchange rate manager. Budgeting also comes with the software with a customizable calculator. Moreover, users will be delighted to use the advanced recordable queries and statistics features of iCash. Created by ShortcutSoft Inc., RichOrPoor is a personal finance software that offers various customizable charts and reports to provide users a comprehensive view of their finances. This intuitive software supports multiple types of accounts including cash on hand, cash in the bank, liabilities, assets, investments, creditor’s rights, and credit cards. The software can help develop budgets in a monthly, quarterly, or yearly basis. It also offers the option for password protection for secure financial information. The software runs in almost every Windows OS version in practical use. This intuitive personal finance software offers an easy to use but very functional drag-and-drop interface that can make new users easily adapt. 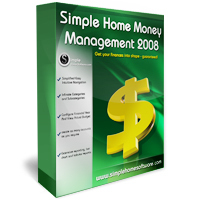 Simple Home Money Management comprehensively covers the different aspects of personal or home finance. It has the tools to deal with banking and bills, budgeting, reporting, tax preparation, personal investing, and archiving. The software can generate a detailed annual budget and make comparisons (project and actual expenses) and charts. Additionally, the software offers password security. This is a commendable product although it can be better with financial calculators integrated. User-friendly and feature-rich, BankTree is a very capable personal finance software that produces easy-to-comprehend reports. It supports multiple languages and various data files. The software comes with password security and is compatible with data from select financial software such as Microsoft Money and Quicken. Additionally, it creates automatic backups and offers the ability to export data to MS Excel. BankTree can generate 10 different reports to show different aspects of a user’s financial condition. It can also handle investments and reconcile payments and verified transactions. Like other personal finance software, BankTree can also produce graphs and summary reports. Moneydance is a cross-platform feature-packed personal finance software that can handle a wide range of financial information. It helps organize finances with a variety of options. It has the tools to facilitate online banking and bills payment. It can create and manage budgets. With its calendar function, it can help users in keeping up with schedules or deadlines of financial obligations. The software also includes tools for tracking investment portfolios. Moneydance, moreover, can quickly produce various reports and graphs including account balances, cash flows, and missing checks. The software also supports data importing with Quicken and MS Money. 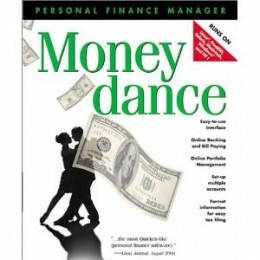 Moneydance is created with OFX, QIF, SSL/TLS, XML, and Java technologies for reliability. 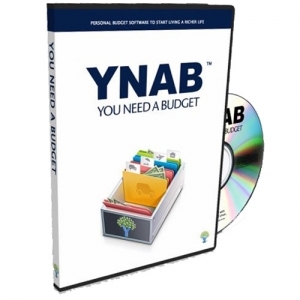 One of the top personal finance software available, YNAB is a reliable money management tool that sports an intuitive interface and cloud synchronization. It comes with educational tools to help users in managing their finances better. Its colorful and easy-to-comprehend graphs and reports make it more appealing. It promotes financial responsibility while ensuring prompt attention to financial obligations with its notable budget interface. YNAB also makes money management simple with its unified account view. Making the user experience much better, YNAB also includes the ability to add notes everywhere and search for recorded information quickly with its powerful search tool. YNAB supports multiple currencies and comes with a reconciliation wizard. 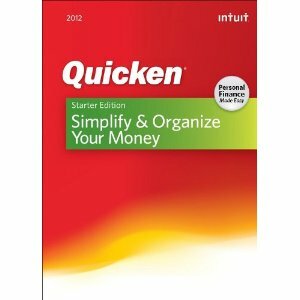 Quicken is one of the most popular personal finance software available. Designed to make money management easy, Quicken offers a comprehensive range of features including ability to quickly import relevant data to TurboTax for quick and accurate tax preparation. The software facilitates flexible budgeting offers alerts via email and text. Expenses are categorized and bank and credit card accounts can be quickly viewed with Quicken. Even the setting up process is easy to accomplish with this modern money management software tool from Intuit Inc.
Versatile and full-featured, AceMoney easily makes it as one of the top picks when it comes to personal finance. It provides a variety of tools including financial calculators and the ability to manage various types of accounts. AceMoney can handle checking and savings accounts, loans, debts, credit cards, as well as allowances given to family members. The software also generates budgets with over a hundred predefined spending categories. In the area of investment management, AceMoney provides the ability to track investment performance. It also supports multiple currencies, monitors spending habits, facilitates bills payments, and provides tools for planning debt and mortgage payments. 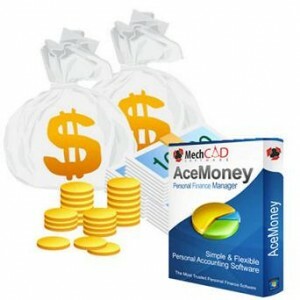 It is also possible to manage online businesses with AceMoney. I would recommend Excel as well. It allows you to create calculations on the fly. I started my Excel sheet with a simple expense sheet and within months it could manage budgets as well. Being an IT guy, then I went ahead and created a very simple software to replace the excel sheet and it also has many other features.